Volcano box presents Merapi Tool software. Merapi tool software latest version v1.4.5 is released and now you can download it directly from this page. 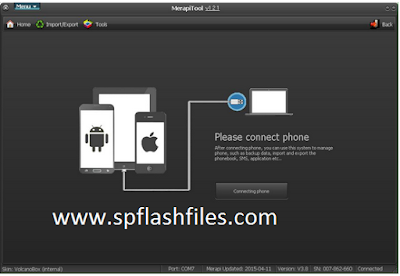 Merapi tool support a very large range of phones and offer some world first on Chinese CPU. This version of merapi tool software is avail to download with many latest features . So lets check whats new in this version. -To solve the MTK Andrews +EMMC ,reset Pattern lock, PIN lock, Password lock. -Add new phone for ADB Root. If you want to download volcano box Merapi tool software latest version v1.4.5 directly from this page. Then just one click on the link from your mouse and wait. Volcano box merapi tool software will start downloading automatically. 0 Comment "Download Volcano Box Merapi Tool Latest Version V1.4.5 2016"